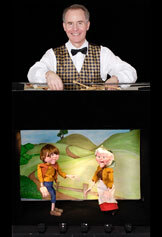 If you want to get your kids or students excited about reading, theatre and storytelling at a young age, one of the best ways is through educational preschool and library puppet shows in Denver, CO. Mark Hellerstein of Puppets & Things on Strings loves to see kids’ light up when they see a story come to life through a puppet show. 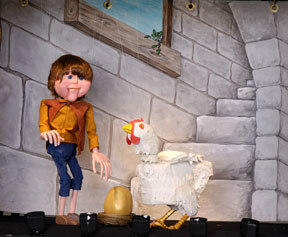 They’ll watch drawings come alive and talk to them and meet characters like Pansy, the lovable baby chimpanzee, and Winston, the Bookworm, who narrates Jack and the Beanstalk from a full-stage marionette puppet production. Puppet Shows for Kids Birthday Parties are a big hit here in Denver! As a parent, you want to make sure your child and his friends have the time of their lives at his/her next birthday party. For many, that means going above and beyond to provide entertainment that keeps the kids fully engaged. With Puppets & Things on Strings performances, Mark keeps energy levels high and gets the kids involved so they feel more like a part of the show than simple spectators. Adults will have as much fun as the kids! For kids, watching a story unfold around them through a puppet show rather than simply listening to it makes all the difference in overall engagement and wanting to learn more. 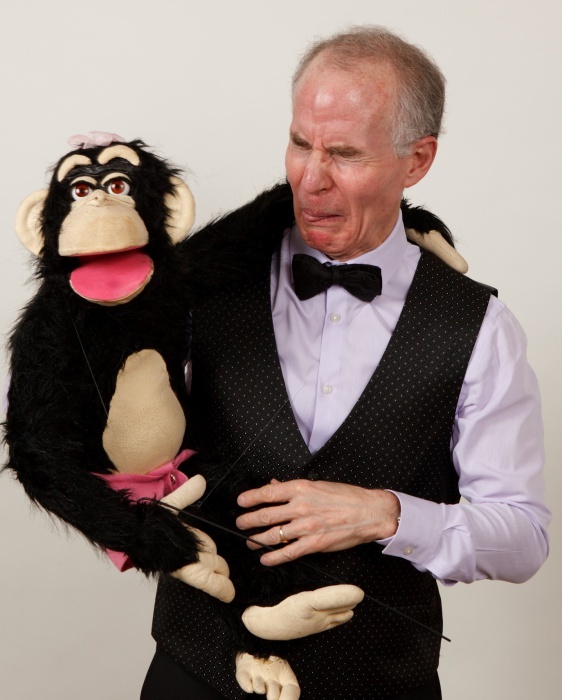 With more than 50 years of experience in puppet show performances and working as a ventriloquist, Mark specializes in putting on entertaining and educational preschool and library puppet shows for kids in Denver, CO and puts on regular performances at birthday parties, preschools, and libraries throughout the Denver area. Some of the preschools Mark has worked with in the past include Montessori Schools, Wooden Shoe, KinderCare Learning Centers, Noah’s Ark, La Petite Academies, Jewish Community Center, and Kender College. • Jefferson Counties, and more. There is nothing quite like seeing the smile on a child’s face during entertaining and educational preschool and library puppet shows. These performances allow them to get a better grasp of what’s going on in a story and keeps them engaged and entertained the entire time. There’s no question that it makes reading, storytelling, and school more fun for all! Give Mark a call at 303-378-5392 today to learn more about the educational preschool and library puppet shows for kids in Denver, CO through Puppets & Things on Strings.